Automobile engineer Hugo Spowers believes that battery-powered electric vehicles won’t be the only attractive option on the market for buyers who are eco-conscious. It’s why he and his independent car company, Riversimple, have been building a lightweight hydrogen EV that emits just water. Intrigued? This compact car is called the Rasa, and it has a lot of people talking. An important detail? The new vehicle features a motor in each wheel and the manufacturers hope to build a market around it. 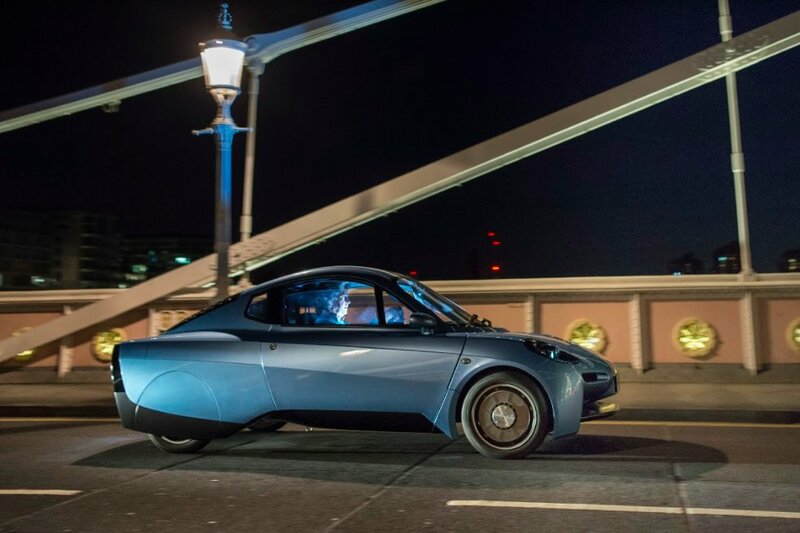 Riversimple’s new vehicle was created with the intentions of creating a “clean slate” in the auto industry. In Latin, that means “tabula rasa,” which is how the name “Rasa” was born. Spowers entered the EV market early when he began working with the idea of hydrogen vehicles over 15 years ago at Cranfield University. The Rasa is a two-seat electric vehicle that’s equipped with butterfly doors and weighs just over 1,200 pounds. To put that in perspective, just the battery of an 85 kilowatt-hour battery pack in the Tesla Model S is around 1,200 pounds. Ditching the battery for a hydrogen-powered system, the vehicle also benefits with comparable range. Taking the same premium Model S, this features a range of approximately 340 miles with the same hefty battery pack. These batteries also take a significant amount of time to charge. 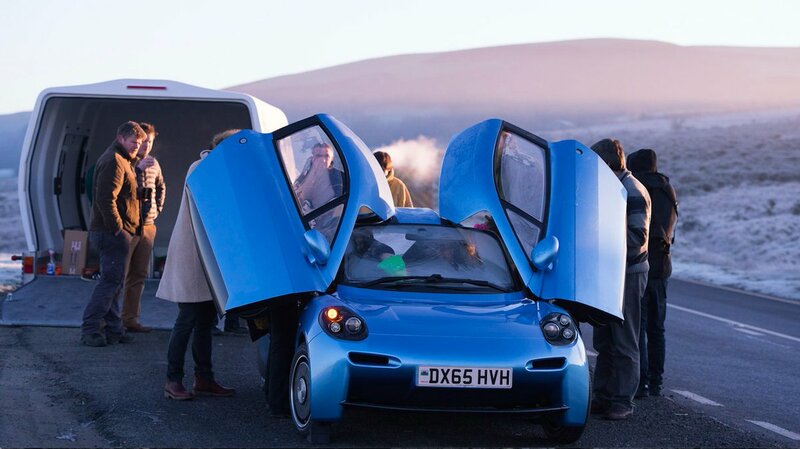 The Rasa has a comparable range of 310 miles and it only takes up to three minutes to completely refuel the vehicle. It was the qualities of an internal combustion engine but it only emits water. How is the Rasa able to pull this all off? Compressed hydrogen runs through fuel cells and combines with oxygen to create electricity that powers a motor in each of the four wheels. An added benefit is regenerative braking with supercapacitors; when the vehicle is stopping, this kinetic energy converts into usable power. After taking into consideration the harmful impacts diesel engines had on the environment, Spowers studied hydrogen fuel cells and founded a company called OScar Automotive in 2001. Six years later, it became Riversimple and he released the LIFECar one year later. This initial vehicle ended up ditching hydrogen fuel cells for a hybrid drivetrain. One major issue in the hydrogen-powered EV industry is the lack of an infrastructure. The battery revolution is front-and-center, and it’s why Riversimple will have a unique way to distribute the Rasa. Customers will pay a monthly fee that includes fuel, maintenance, and even insurance on the vehicle. An early trial run will take place in Monmouthshire County in southeast Wales early next year. There will be just one fueling station in the town of Abergavenny. Spowers and his team believes that even with one station, a market can build around hydrogen-powered vehicles because customers would only need to go there once a week. Will hydrogen vehicles be able to take over the market? With the lack of a significant fueling structure, probably not. Having comparable range and fueling speed as a traditional vehicle are significant benefits, and the technology could end up being a good, smaller compliment to the battery-powered version.